This weekend is the BIG DAY. Wedding bells!! This is just some of the stuff I've been sewing. 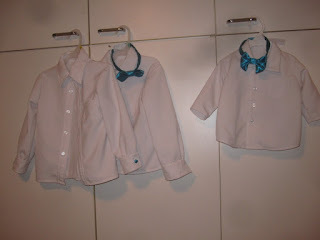 These are matching shirts for my grandsons with their little bow ties. The cuffs have turquoise (actually peacock blue) self covered buttons to look like cuff links. 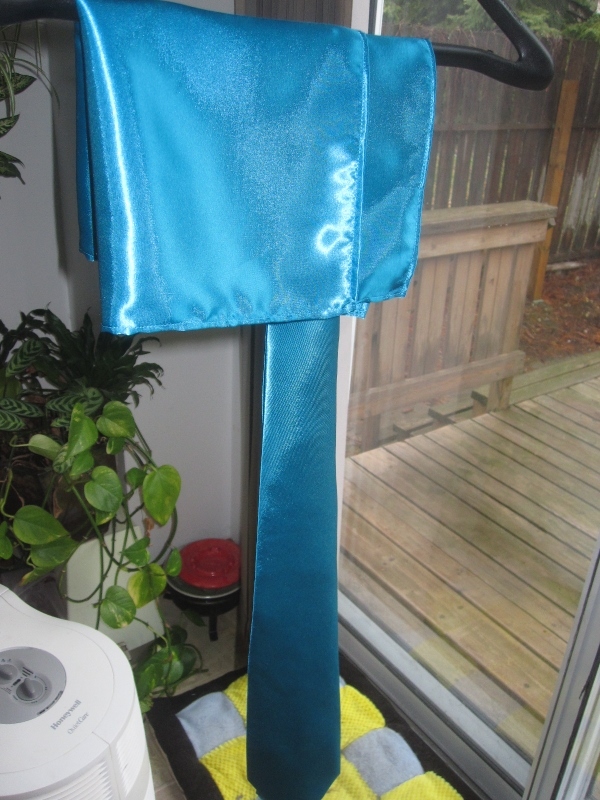 Pocket squares for the men and a straight tie for the groom. Bow ties for the men but NOT the one in the foreground. 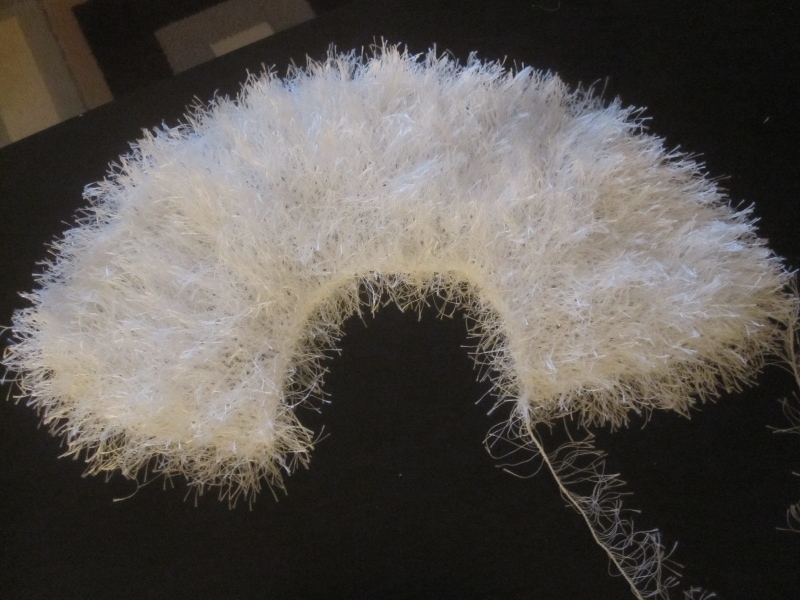 I just had to make one that was exactly as the pattern indicated and it has flat batting in it. 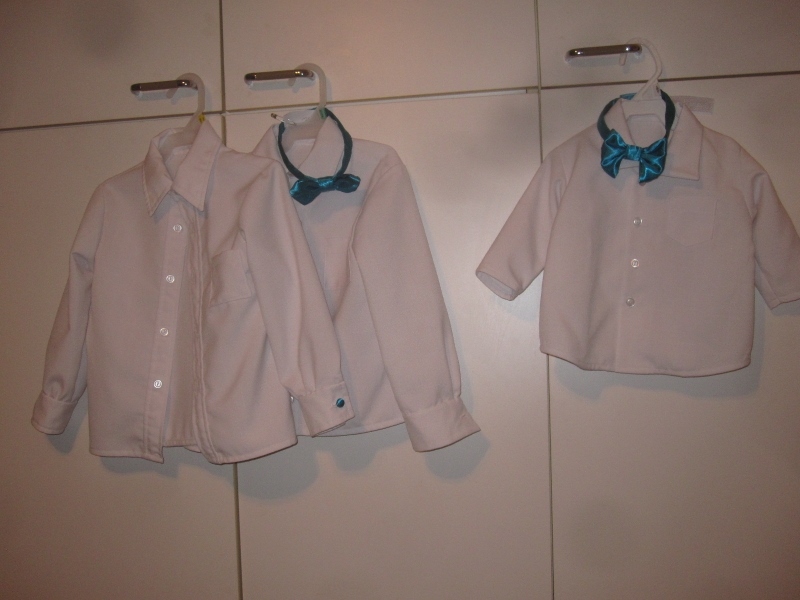 I think it's horrible so I made my own pattern up - modelled after the little boys' bow ties. 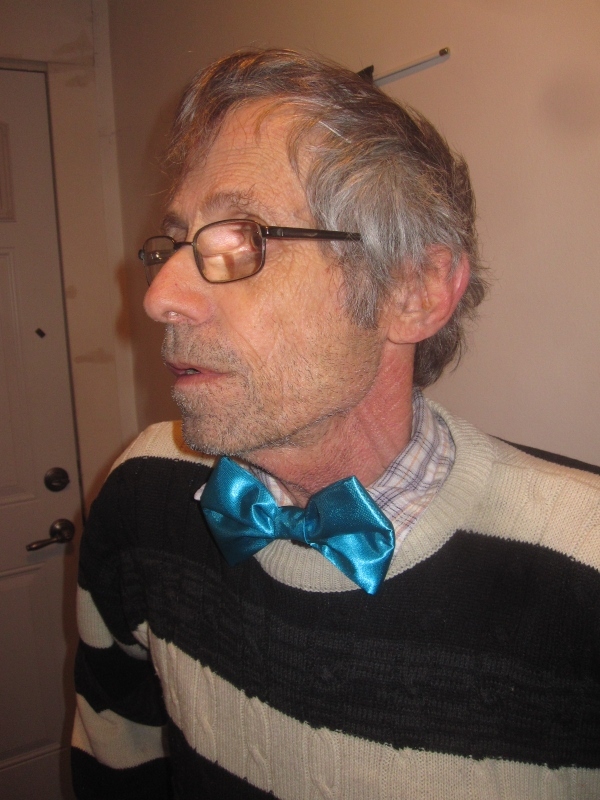 This is the single bow tie. 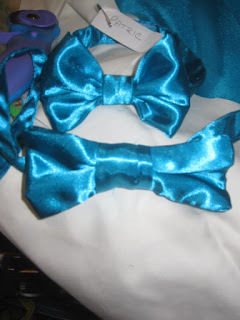 I made two of those and three of the double bow ties for the men. I also made dresses for the two little girls and I knitted wraps for them too. These were fun to make and they have a white satin ribbon holding them closed. Well, that's just a few of the things I made. I have not finished yet and so I will get back at it. Charming elegance all over! I assume the father of the bride will wear a different shirt with the bow tie tomorrow. I wish you all a lovely and happy day. Wow, Dolores! Everywhere one looks will be something you made. I like your bow tie much better! Happy day! A very special day, and more so with all your sewing and more there too. I hope you have fine weather and a truly joyous occasion with those stunning bow ties. I look forward to seeing pictures of the wedding, if you share some. You are making some really sweet things, and it should be a lovely wedding party.